YOU MAY NOT REALIZE THE NUMBER OF FAMILIES OR INDIVIDUALS THAT ARE SUFFERING BECAUSE THEY DO NOT HAVE THE MEDICAL EQUIPMENT OR SUPPLIES THAT ARE NEEDED. Some individuals may not even realize the help that is available in the community because they are what many have labeled as “shut ins”. This is a term used for those individuals that may not be physically able to leave their home and there is no one who is overseeing or caring for them. This may be due to financial issues, lack of insurance, uneducated on available programs for support, or reasons beyond their control. Churches, Non-Profit Organizations, Civic organizations, and other community outreach programs try to find and help these individuals. Some of these individuals may need food, some may need medical attention and other may need Medical Equipment or Supplies. One person may fall and break a hip just because they did not have a simple walker in their home to help them balance while doing their daily activities. Some individuals may need incontinence supplies such as diapers and wipes, and others may need mental health connections. In this article we are going to focus on medical equipment and medical supply needs. How can you, one ordinary person, make a positive difference in the community. Although the concept is simple, how can you find the individual in need? Who will come and pick it up to give to a person in need, and how do you know if your donation is going to someone in need? If you have cared for a family member who has passed away or who is no longer in need of the supplies or equipment they were using, what can you do to make a difference to another and give to those in need? Not many medical companies will take their time and physical efforts to come and pick up the equipment or supplies because they have no place to store it, and in order to be in their warehouse, the accrediting rules are that the equipment must be cleaned and sanitized to store. It may be that they do not a person who needs it right now, so why would they come get it? Another company may not come and get it since they are selling new equipment and they feel it takes away from their sales efforts. 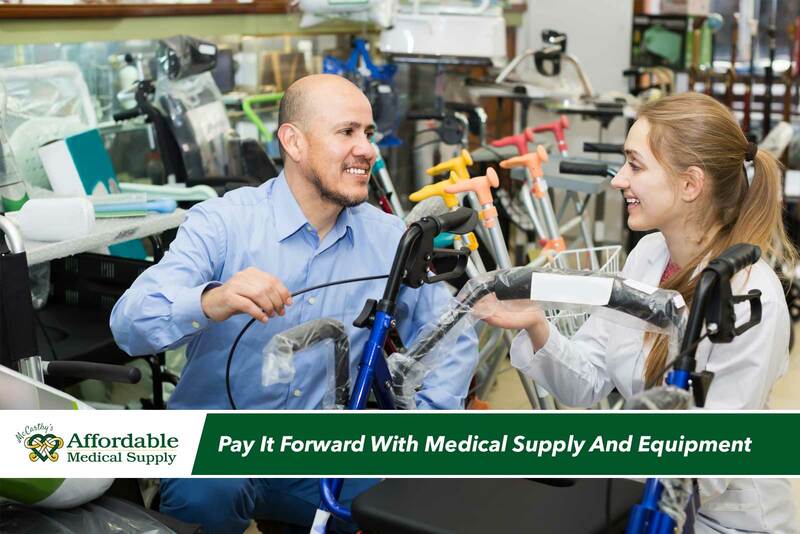 Affordable Medical Supply feels differently about those individuals without the means to pay for supplies and equipment so we started the Pay it Forward Program about 13 years ago. We are the connection between the family donating the equipment to the person in need of the equipment, but were need help in identifying or finding those in need also. This is the reason why our company has connections to those programs and organizations and work closely with them to help the healthcare needs in our own back yard. What are the medical supply and equipment needs in our community? Affordable works closely with many of the non-profit organizations in town who will accept the cleaned, or re-bagged supplies to help individuals and families in their community outreach programs. The issues about the medical equipment is the fact that not everyone can set up a hospital bed, do minor repairs on wheelchairs and walkers so they are safe to give to another person. 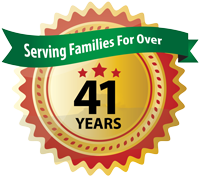 Our company has long been known for our charitable works in the community. Affordable Medical donates our time to pick up the equipment, we clean the equipment and sanitize the equipment so we can give to the local non-profits or families in need. We store the equipment until the family in need is identified and we deliver, set it up, and instruct the family on its use. This is all done as our donation to the community. If you have any gently used equipment, or supplies that are going to be thrown out, or you, yourself, do not know of a person in need, please call our offices and speak to a supervisor. We are easily available and will take the call to set up your donation. You and Me, make a positive difference? the outcome of your charity, will change our community. Today, it’s easy to find many people in our community who are in need. So, do something to help. Medical supplies or incontinence products. We will donate it to someone or an agency who is in need. Pay It Forward from You…to Them. And Thanks, … for Helping Us Make a Change! Call Affordable Medical Supply, today.